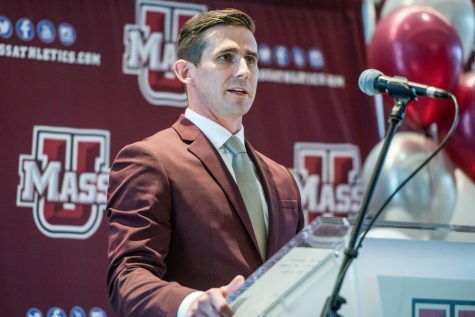 The Massachusetts football team suffered a devastating blow to its defensive secondary when UMass coach Mark Whipple told reporters Tuesday that starting safety Khary Bailey-Smith will miss the remainder of the season due to a knee injury. 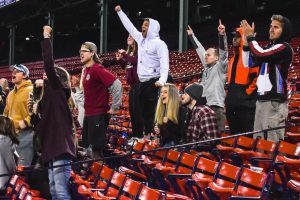 Whipple said Bailey-Smith is scheduled to have surgery on Friday, after he missed UMass’ trip to Notre Dame last weekend. The plan is for Bailey-Smith to use a medical redshirt to return next season as a redshirt senior. 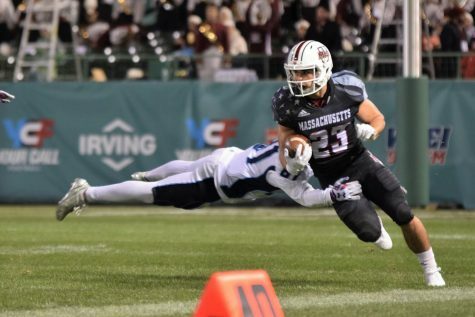 Bailey-Smith started the Minutemen’s first two games this season with 21 tackles and an interception against Temple. 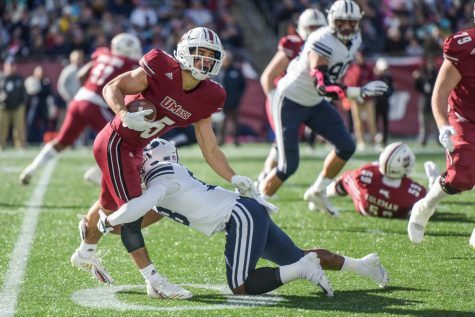 Joe Colton, who started in all 12 games at safety last season, will likely slide in to the other safety position alongside senior Trey Dudley-Giles. Colton had been playing an outside linebacker/ “rover” position this season. 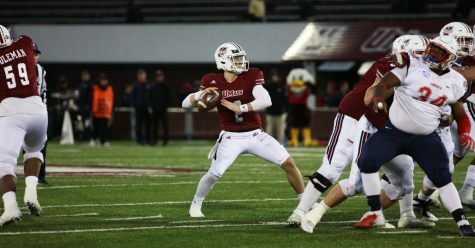 Whipple said Blake Lucas has been removed of his duties as UMass’ placekicker and will be used as a kick-off special for the rest of the season. 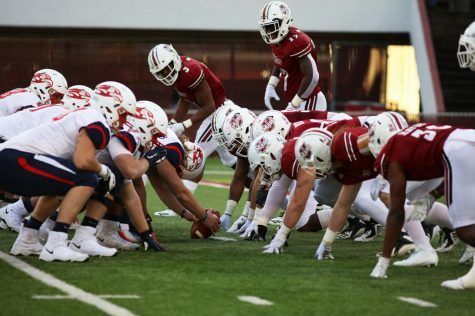 Freshman Mike Caggiano and punter Logan Laurent will split placekicking reps at practice this week and the team will make a decision later this week. After suffering injuries against the Fighting Irish Saturday, Sha-Ki Holiness and Peter Ngobidi both did not practice Tuesday. 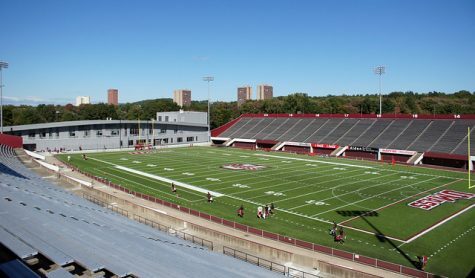 According to Whipple, Holiness is unlikely to play this weekend in the Minutemen’s first home game at McGuirk Stadium against Florida International. Starting cornerback Kelton Brackett also did not practice Tuesday with an apparent knee injury. Brackett was in street clothes and a knee brace during practice. Whipple said the team was unsure of his status moving forward. Despite going through warmups against Notre Dame, Rodney Mills did not play against the Fighting Irish this past weekend. Mills returned to the practice field in pads Tuesday as Whipple noticed improvement in the tight end’s recovery. Whipple said wide receiver Jalen Williams is expected to miss the remainder of the season. 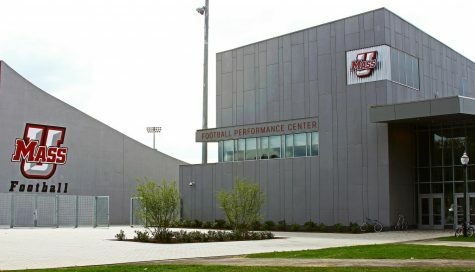 Williams was the Minutemen’s No. 2 receiver last year, finishing with 20 receptions for 307 receiving yards and four touchdowns. 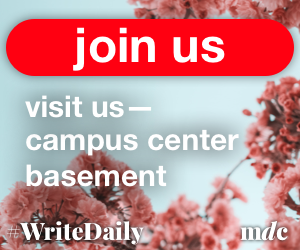 Williams did not play in any of UMass’ first three games with a quad injury and was arrested last week for breaking and entering of a vehicle and larceny under $250. 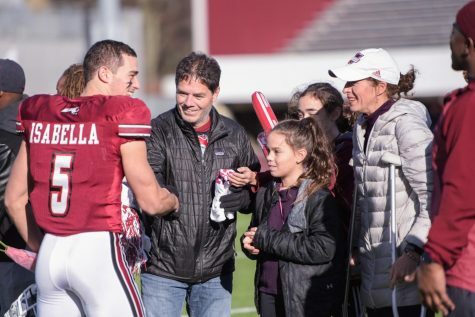 Former fullback Matt Tuleja also won’t return to the Minutemen this season for personal reasons, according to Whipple. Linebacker John Robinson-Woodgett played snaps at fullback against Notre Dame and could continue to be used in that role moving forward. 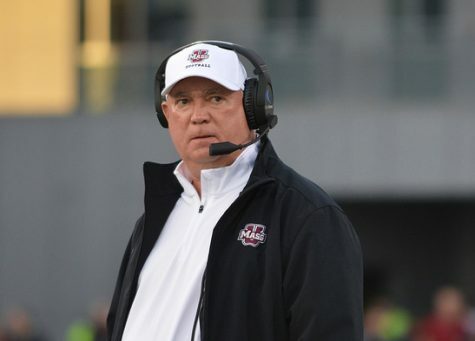 Whipple said Robinson-Woodgett played some fullback last spring for the Minutemen.